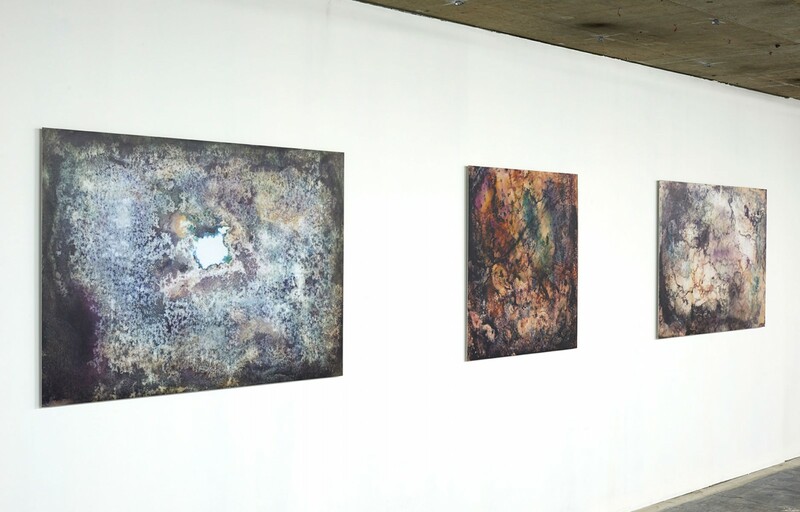 The strands of James Balmforth’s practice are tied together by an exploration of dynamic instabilities and vulnerabilities in a material’s life, a fragmentary form of representation that favours potential. 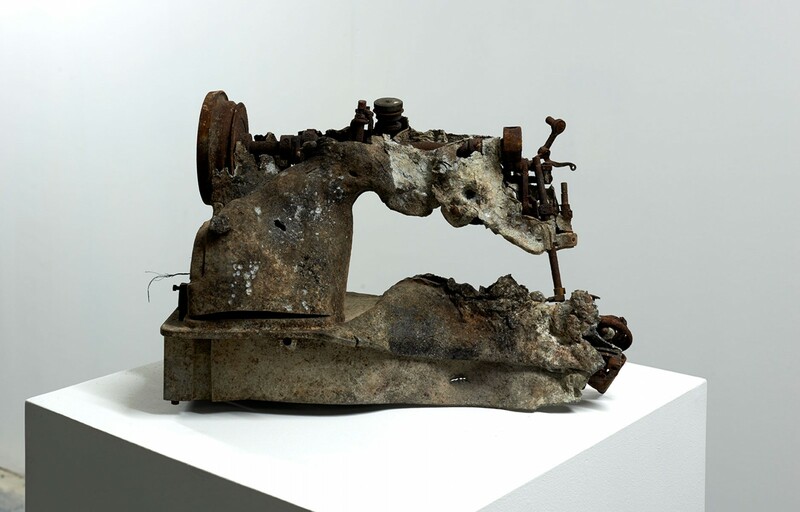 On first glance, his visually arresting sculpture appears preoccupied with limitation, degradation and ruin, but by a shrewd manipulation and arrangement of the elements, Balmforth drags the exhausted material into a new lease of life. His approach wavers between reverential and ironic. Failed Obelisk (2009) is a wood and plaster monument, severed at its pyramidal peak but fixed together again by means of a giant spring that leaves the broken tip dangling from the base. In a gesture, the Egyptian bastion of power and beauty is reduced to a Jack-in-the-Box, subverting the structure’s traditional associations with invincibility. 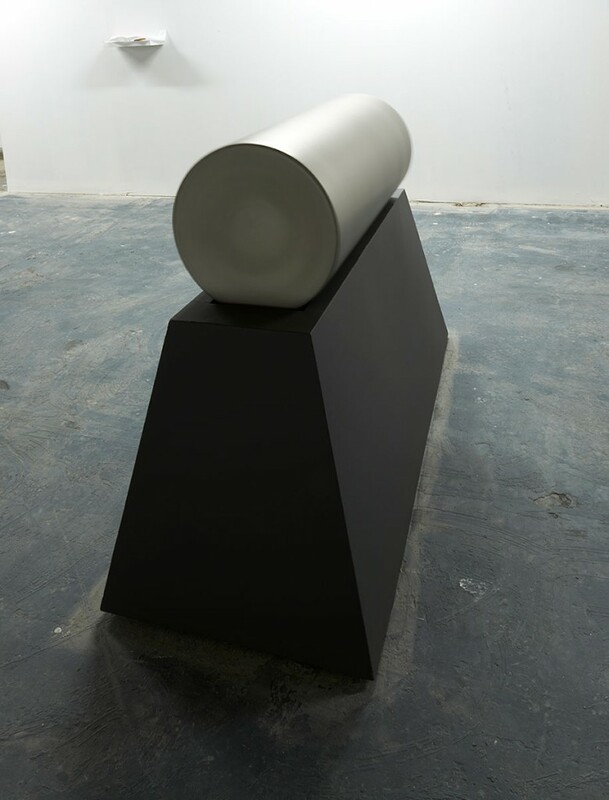 A quieter heroism emanates from his other works, notably The Triumph of Ashes (2010) in which a purpose-built mechanism tosses ashes into the air in a similar movement to tractors scattering seed; Movement Towards A Diminishing Object (2009) presents an apparently harmless plastic chain appearing to cut into a large boulder. The impossibility of the soft plastic chain eroding the resistant stone presents a reversal of their superficially described interrelationship; material truths thus manifest themselves through an ongoing process. 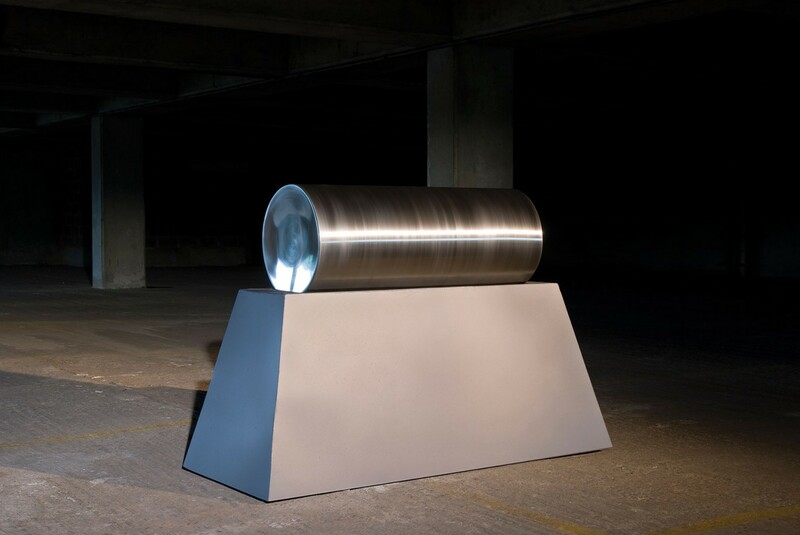 The sculpture Gallium Dagger (2012) continues a recurring theme of thresholds and extends the artist’s intervention into the lives and functions of objects and materials. 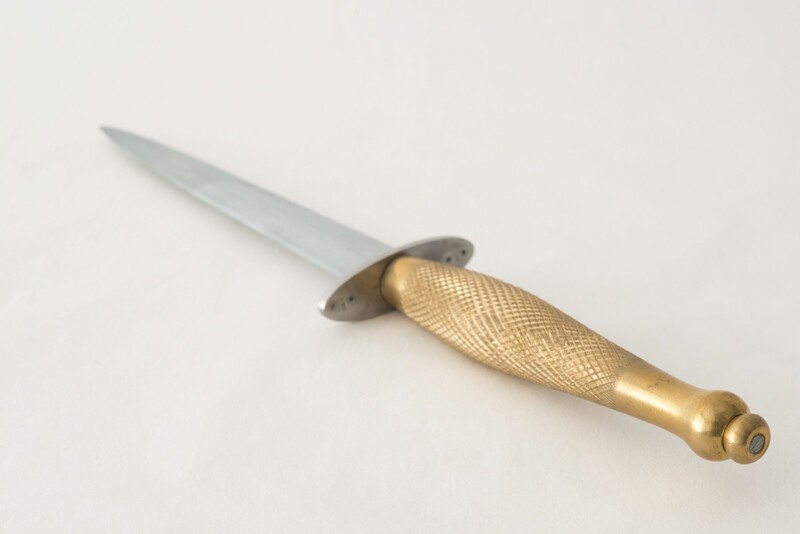 Composed of an elegantly crafted brass handle that crests a sharp tapered blade, this harmful looking object harbours a hidden vulnerability; the blade is cast in gallium, a metal that melts on contact with skin. Put to its intended use, the dagger would suffer damage at least equivalent to that inflicted upon its subject. The dagger’s vulnerability to human contact establishes a mutually affective relationship between the object and the subject. 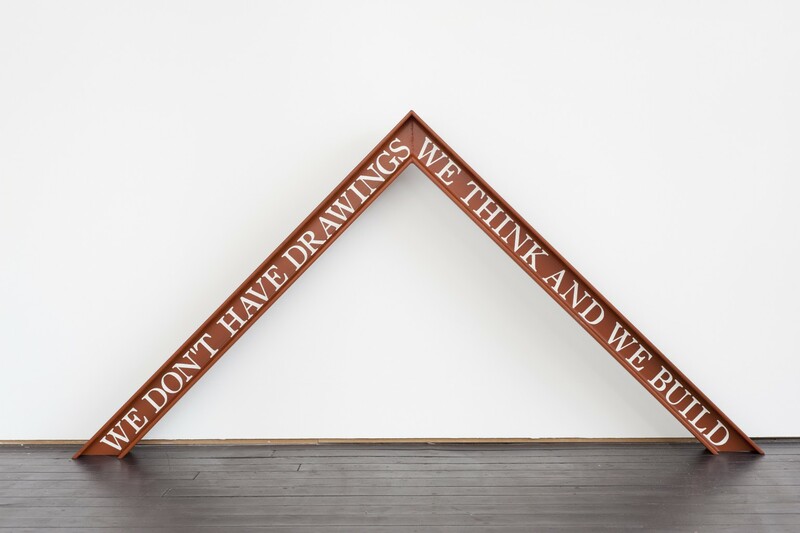 James Balmforth, born 1980 has had work featured at the Cass Sculpture Foundation (2010); New Art Centre (2010); Saatchi Gallery (2013); V&A (2013); Venice Biennale (2009); Bold Tendencies (2007-2010), Royal British Society of Sculptors (2011); Royal College Art Galleries (2009); Royal Academy of Arts (2009); ‘Optimism – The Art of our Time’ at the Hannah Barry Gallery (2009); ‘the Elimination of dDstance’ XVIII Jesus Lane, Cambridge (2008) and ‘Late at Tate: !WoWoW! and Plastique Fantastique’ at Tate Britain (2008).